A man posing to be a serving member of the NYSC has been exposed to be a car smuggler in Lagos and has been nabbed. According to a report by Punch Metro, the Customs Service, Seme Border Area Command, says it has arrested a fake corps member suspected of specialising in smuggling banned vehicles into Nigeria through Seme border post. The Customs Area Controller, Comptroller Mohammed Garba, said this on Wednesday at a news conference in Seme. 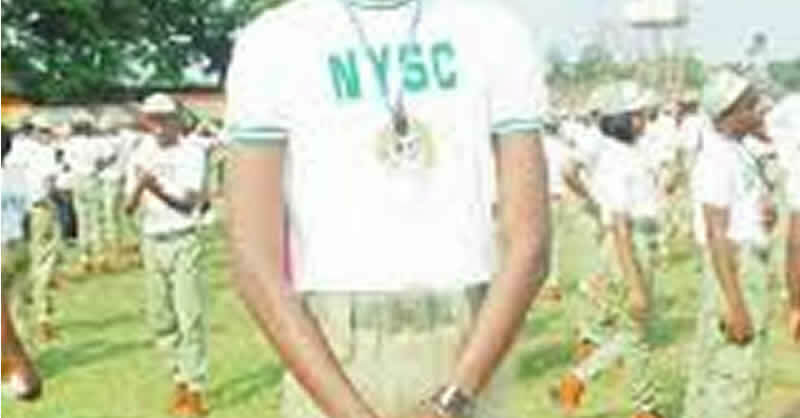 Garba said the suspect claimed to be a youth corps member. “He claimed to have the phone number of the Inspector-General of Police and many other personalities. “The suspect said that he took somebody to Ghana, but when asked to produce the vehicle document, he said that he passed through the border by placing phone calls to IGP and others,’’ he said. The comptroller said that while crosschecking the vehicle document, it was discovered that the document was reading Primera, while in reality the car was a Renault. Garba said the case would soon be transferred to the Police for prosecution. The suspect said he drove someone to Ghana and was on his way back to Nigeria when he was arrested by men of the Customs command. “The person that I took to Ghana used his passport at all the posts and after stamping it, they allowed us to pass,” the suspect said; adding that he did his NYSC programme in Kaduna State in 2016. “I have issues with NYSC and since then, I have not submitted my identification card. So, I used the card for identification while on the road. “All I know is that the owner of the car will come and claim his car. I only helped him to take his brother to Ghana,” he said.